I finally finished Mackenzie’s crib bedding last night. 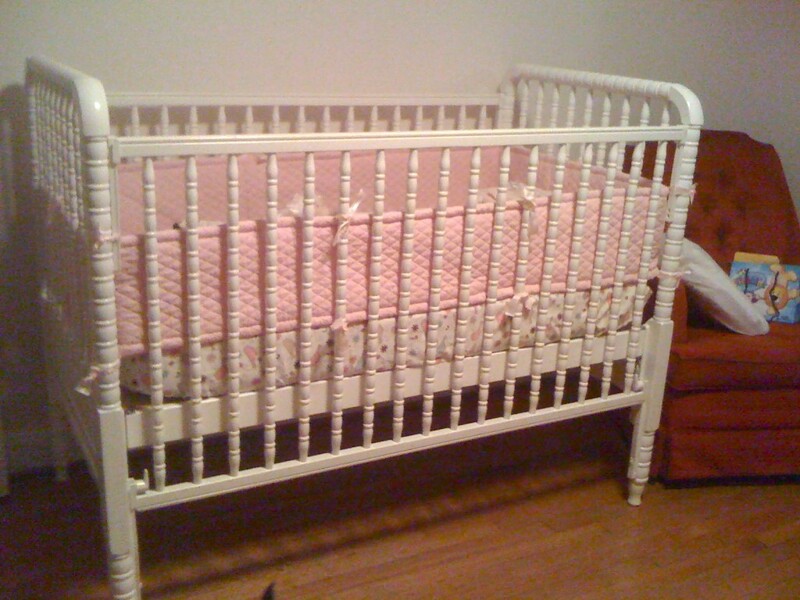 I sewed a simple fitted sheet for the crib out of the fabric that we used on her blanket. I was planning to sew a bedskirt, but I think it looks good without one. Who knows — I’ll probably change my mind. This afternoon I will probably start on that chair. I need a piece of foam for the seat, and then I’m good to go. The fabric is in the dryer now. We have just enough of the print from the bedding set left to make a pillow for it, too. We’re planning to go to Atlanta this weekend to celebrate our anniversary and pick up a few last things for the nursery from Ikea. I found a dresser online that I like, and we’ll pick up a rug, too. We’d like to get a shelf as well, but we’re not sure we’ll have room. If I can fit it in, I’m going to paint the nursery this week, too, so that when we get back, all that will be left are the finishing touches. 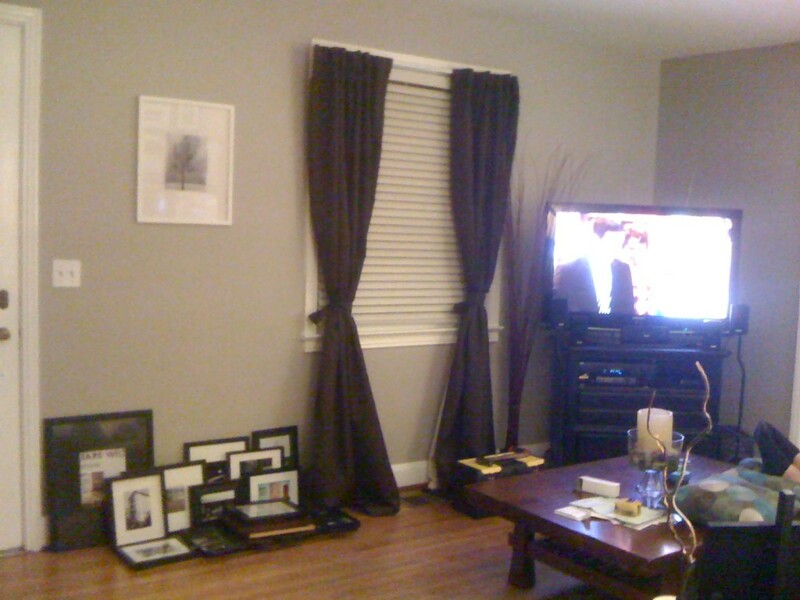 We also finished painting the living room over the weekend. We haven’t quite figured out where all of the pictures should go — we have so many that it’s hard to choose! I love how the gray color came out, though. I think it makes the trim and hardwood floors really pop. Thanks, Keli! Working on this chair has been a less fun project than usual, but it’s also probably the most complicated one I’ve taken on, so the learning curve probably has a lot to do with the frustration. I’ll be really glad when it’s done. 🙂 You’re much more experienced with a sewing machine than I am, and I’m sure your glider will turn out beautifully!